I am excited to share this book companion for the #MarchSLPMustHave! Last year I used Judy Blume’s Freckle Juice for my first novel study in speech/language therapy. It was new territory for me to use such a lengthy story in my small little moments of time with students. I was worried about getting started with something that I wouldn’t have time to finish. It turned out to be so successful! We worked on vocabulary and comprehension one chapter at a time, then worked on many other literacy/language skills like characters, visualizing, comparing/contrasting, summarizing, sequencing, and predicting. 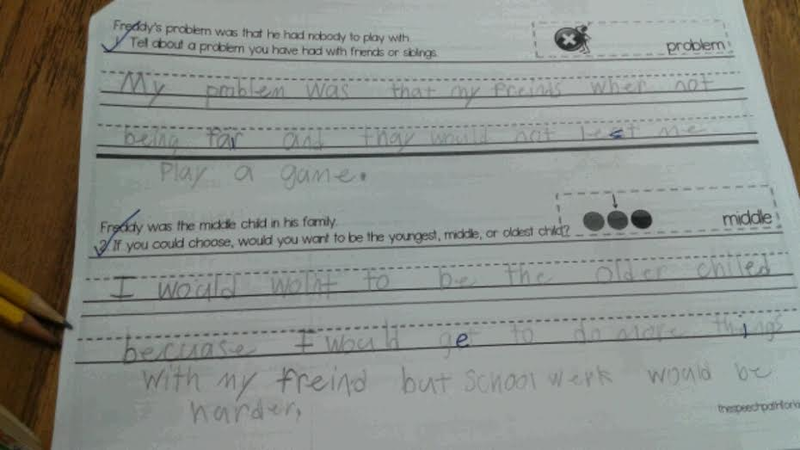 My students were begging for more. After some extensive searching, I chose Judy Blume’s The One in the Middle is a Green Kangaroo. 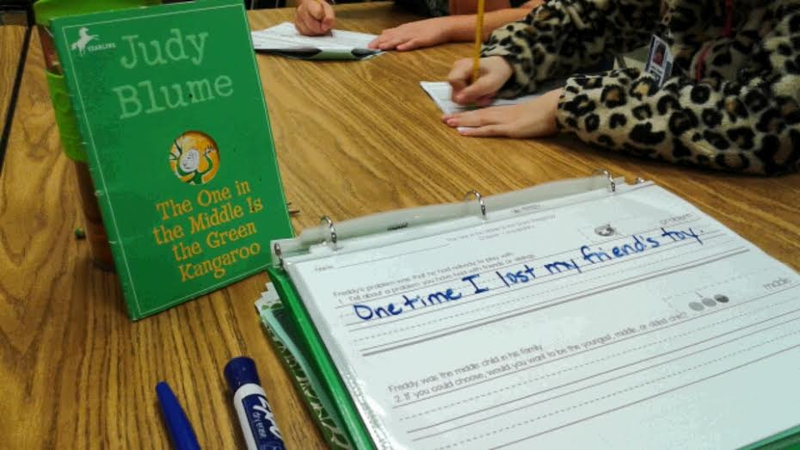 If you have used the Freckle Juice packet, you will see that this story companion uses the same framework to structure the lessons. I put a lot of thought into this format, and the familiarity across stories helps my students with the new content. 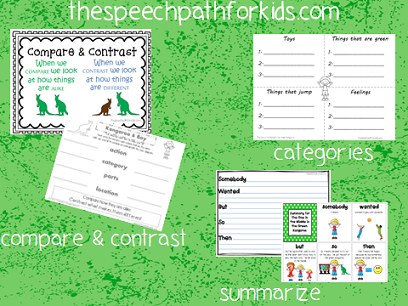 I am using this packet with many different levels, both in my therapy room and in a 3rd grade push-in class. 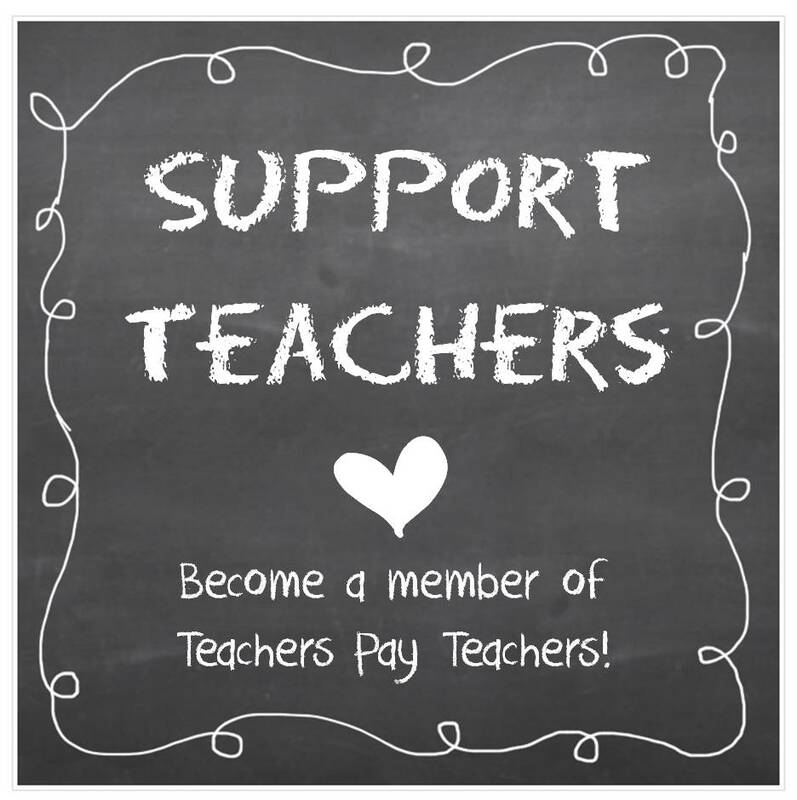 For the most part, I use the packet in it’s entirety with each student. 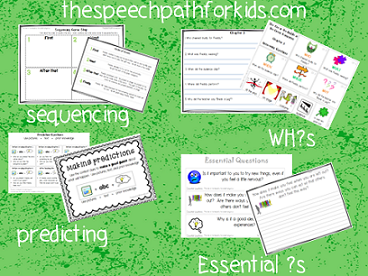 But the beauty of having so many skills addressed in one packet is that I can pick and choose the target skills for each student or group. One group doesn’t need to work on categories at all, so I just omitted that piece. 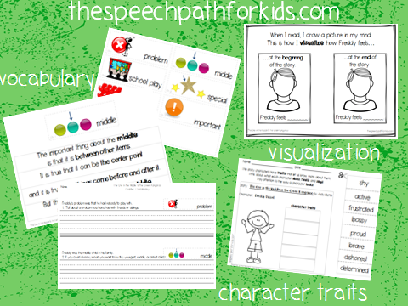 There are also differentiated formats for expression throughout – drawing, writing, using pictures. When I was in the 3rd grade classroom, we were all working together on the applied vocabulary page. Two students were writing their responses independently while I was dictating to scribe another student’s response. Because he was at that stage where I am really modeling the responses for him and guiding him through the procedure, I chose to use a reusable format instead of copying a separate packet. I slipped the paper in a plastic cover sheet and used a dry erase marker (saved some paper this way). 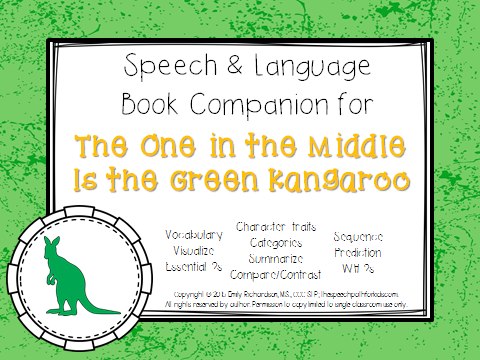 If you would like to explore chapter books with your speech/language students, check out The One in the Middle is the Green Kangaroo. On 3/7/16 only it will be half price!